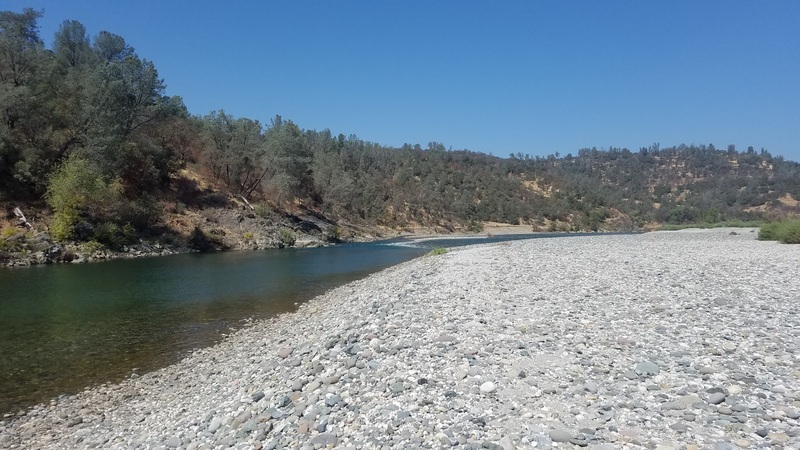 With fall slowly approaching the Yuba River is now at a stable 1,000CFS. These flows have revealed new areas that will likely remain for the next few months until the winter flows change things up again. I took the time to check out the section above HWY 20 since it's been unfishable for the last ten months. The river has completely changed above HWY 20. Much of the deeper slots have flattened out leaving shallow flat water in-between the three pool/riffle/runs in this section. This may limit where the fish will hold above HWY 20 making fishing below the bridge a better option. I flipped a few rocks to check out the bug life and although it's still there most of the insects were tiny. 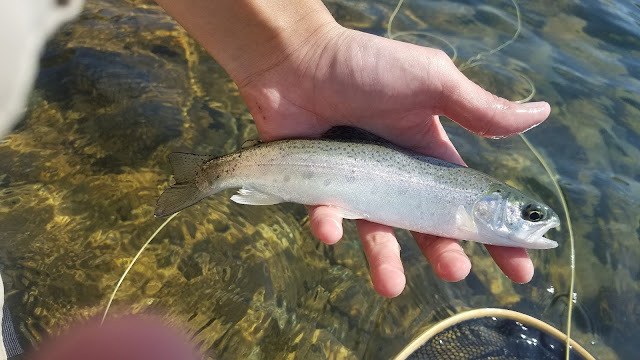 It's a bit of a toss up right now but if the fish return to this section the dry fly fishing in the flats will be amazing. I've read that after calamity flows over 50,000 CFS the fish remaining in the Yuba River go through a cycle where they turn skinny. Last year after seeing high flows at 25,000 CFS we thought that this cycle would happen but the fish survived and remained fat and healthy. However this year with the flows reaching over 80,000 CFS it seems as if this cycle has begun. 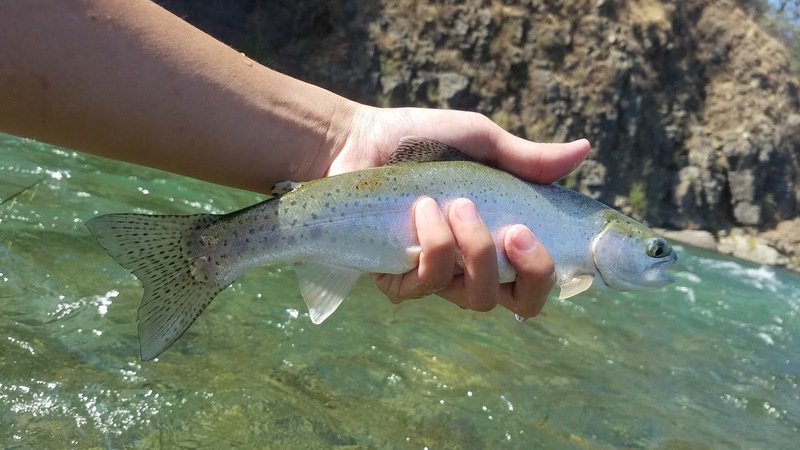 I caught quite a few fish that fought like typical Yuba bows but they were all skinny. Some were longer than others but they all shared the same thin feature. I'm curious to see what the upcoming months will be like on the Yuba. With little to no salmon in the Yuba right now and only small thin trout to catch, the fall season on the Yuba this year isn't looking too great.